Centuries before the Lord Jesus was born the prophet Jeremiah foretold a period of time in history unlike any other time called “The Time of Jacob’s Trouble” that would be focused on the land of Israel in the last days just before the Second Coming of Christ. This time period, lasting three and a half years, will be a time of distress and trouble unequalled in history. This period of Great Tribulation also called the Time of Jacob’s Trouble will start when the man of sin also called the Antichrist invades Israel and installs himself on the Temple Mount. He will stop the sacrifices and proclaim himself to be God and to be worshipped. Like Antiochus he will forbid the reading of Torah, desecrate the altar in the Temple and enforce Islamic Sharia Law on Israel. For three and a half years he will gain great power over many nations and will subjugate the people of Israel. Now the Lord Jesus knew that this would happen and he took what happened 160 years before with Antiochus and said it would happen again in the future. While the Lord Jesus clearly had the destruction of Herod’s Temple in mind He also telescoped to the end of the age and said it would happen again just like things happened in the time of Antiochus. Daniel also described the character and deeds of Antiochus but was also telescoping to the end of this age when Antichrist would desecrate the Temple Mount. As we have seen in previous studies Prophecy from the Jewish way of thinking in the Bible was “a pattern” where you had historical events that all lined up with a similar pattern to them and were all partial fulfilments with an ultimate fulfilment in the future. This is the way the Hebrew prophets prophesied when writing scripture. 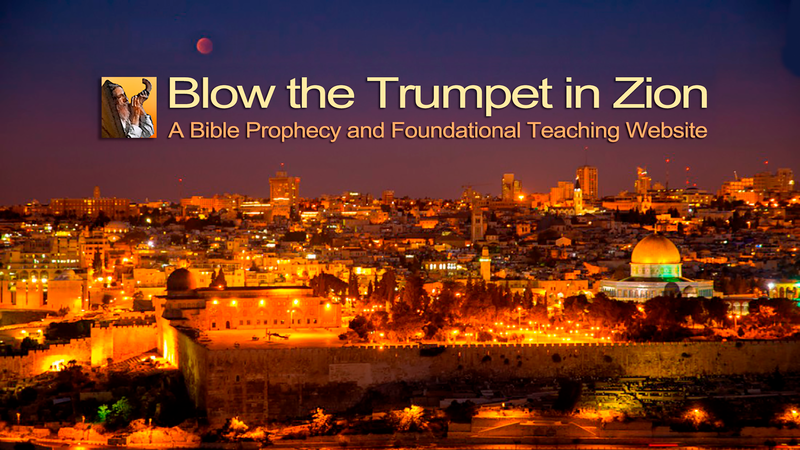 And so the Lord Jesus zooms in on the last three and a half years of this present age and begins with the final and ultimate abomination of desolation that would come to the Jewish people and also send shockwaves around the globe. One description of this last judgement on the earth just before Jesus comes back to fight for Jerusalem is seen in the book of Revelation. John described this portentous event, “The fourth angel poured out his bowl on the sun, and the sun was given power to scorch people with fire. They were seared by the intense heat and they cursed the name of God, who had control over these plagues, but they refused to repent and glorify him. The fifth angel poured out his bowl on the throne of the beast, and his kingdom was plunged into darkness. Men gnawed their tongues in agony and cursed the God of heaven because of their pains and their sores, but they refused to repent of what they had done.” (Revelation 16:8-11) Things will have deteriorated so badly in the world that even after God has poured out His plagues of wrath upon the unsaved they still refuse to repent of their wickedness. In 70AD the Christians were also under the siege by the Romans but when the armies withdrew for a very short period of time the faithful remnant escaped the city just before the Romans returned to completely destroy Jerusalem and the temple. As the final plagues fall without restraint on a Christ hating, Christ rejecting world the faithful believers will experience a mighty “caesarean section” as the “labour pains” of wars famines diseases and earthquakes intensify. As the faithful believers are caught up to meet Jesus in the air the bowls of God’s wrath will be poured out on the world without restraint. You can read about these bowls in Revelation chapter sixteen. Faithful Christians will not experience them for God has not destined them for wrath but for salvation. The apostle Paul told us that this would be so when he said, “For God did not appoint us to suffer wrath but to receive salvation through our Lord Jesus Christ.” (1 Thessalonians 5:9) When the flood came upon the earth Noah and his family was saved out of it. Just before the fire fell on Sodom Lot was rescued out of that city. Right at the end of this age just as the final bowls of God’s wrath are poured out every faithful Jewish and Gentile believer will be rescued and taken out of the Great Tribulation.